You can use a webwallet like myzenwallet.io or any other local wallet. Please use your address with 42 ZEN when ordering a node. Your Secure Node will need some funds to complete the security challenges that happen over time. Please send exactly 0.16 ZEN to the t-address of your node. You can find this at your nodes or subscription page. 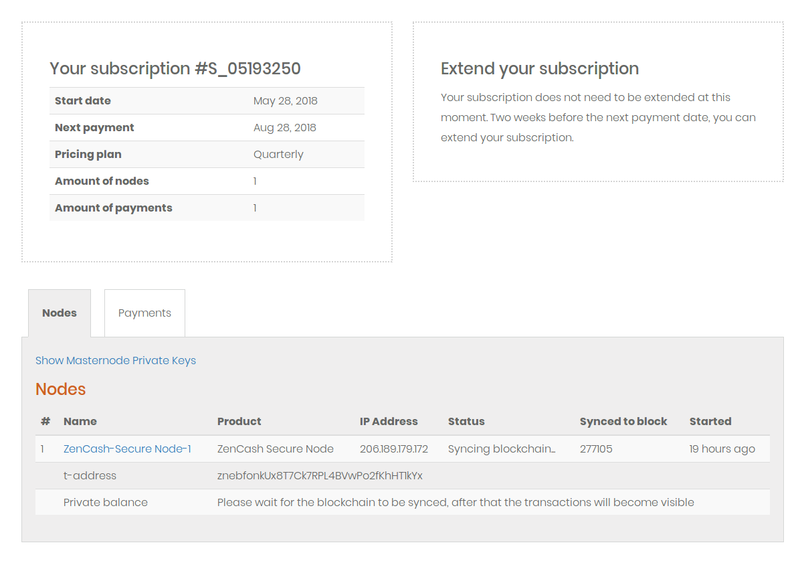 Your node will now sync and divide the 0.16 ZEN into 4 transactions of 0.04 ZEN to a z-address. This is required for the setup of your Secure Node. Please note that syncing can take up to 24h! Please be patient. Once your node is activated you will be notified per email!